Hey everyone, thanks for joining me for today’s episode of Interview Connections TV. I’m Jessica Rhodes and here to help you rock the podcast from both sides of the mic. One very important tip I have for you today, if you are using podcast interviews as a way to grow your business and you host your own podcast, then one thing I highly recommend you do is when you are a guest expert on somebody else’s podcast. Learn about the host. Find out what kind of business they run. Find out what their expertise is, what their story is, and if they are a good fit for your podcast as a guest invite them to be an interviewee on your show. This is a great tip and a great strategy because it deepens and strengthens your relationship with the people who have given you the spotlight to their community. If you’re thinking well it’s been a while since I’ve done an interview, go back. It doesn’t matter how long it’s been. If you were interviewed on someone’s podcast 6 months or a year ago, reach out to them again. Get back on their radar. This will also motivate them to reshare your interview on their show and again it’s going to strengthen and deepen that relationship with them on your podcast, which is going to lead to greater business results. That is my one big tip for you today. If you’re being a guest expert on podcast, invite the host to be on your show. 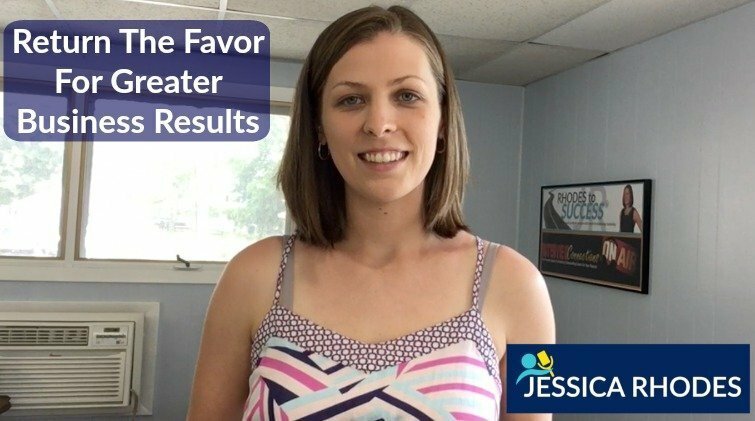 Return the favor and you’ll see bigger and greater results. You want to learn how we can work together? Go to interviewconnections.com. We can book you on shows. We can find guests for your podcast. I am Jessica Rhodes. I am here to help you rock the podcast from both sides of the mic. We’ll see you next Tuesday. Copyright © 2013 - 2018, Entrepreneur Support Services, Inc. All Rights Reserved.